Ann has been a Florida Realtor for more than 18 years. Prior to moving to the South in 2001, Ann lived in Wooster, OH, where she began her real estate career and discovered her love of connecting people with their ideal home and helping investors find the perfect properties. Ann has been married to her husband, Don, for 36 years. and and they have two grown children, Jake and Allie. Ann is a past board member for the Navarre Area Board of Realtors and is currently an active member of the Emerald Coast Association of Realtors. 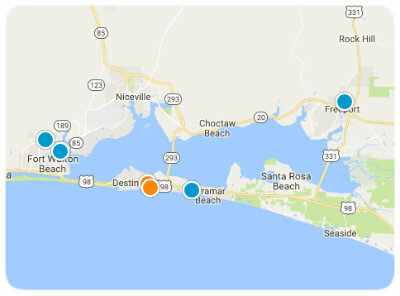 Ann specializes in properties in Navarre, Gulf Breeze, Fort Walton Beach, and Destin and looks forward to assisting you with your real estate needs!